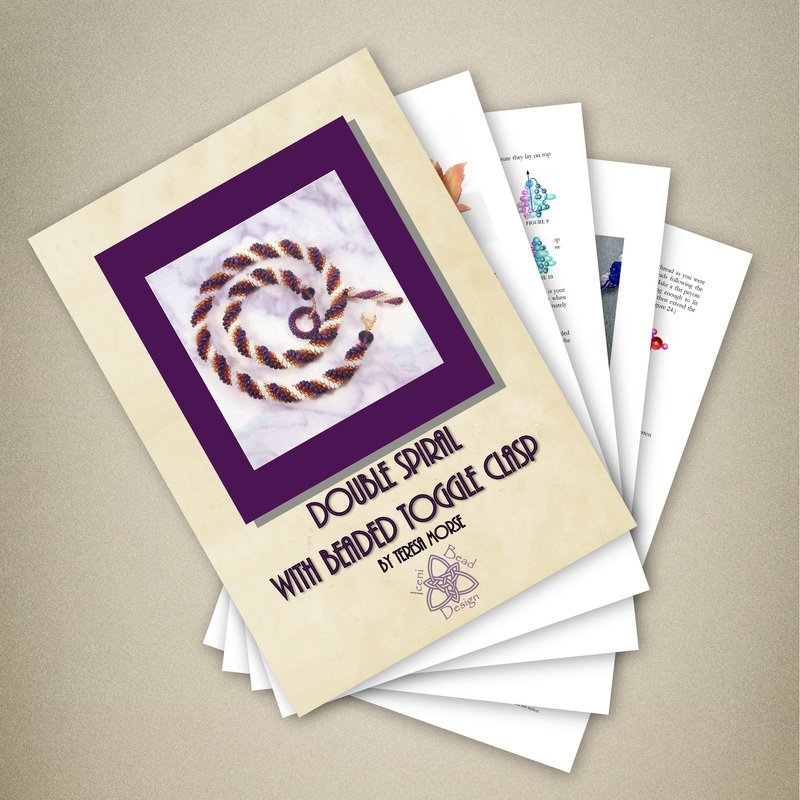 This gorgeous beaded spiral rope is an adaptation of the standard double spiral rope, but using SuperDuo beads. 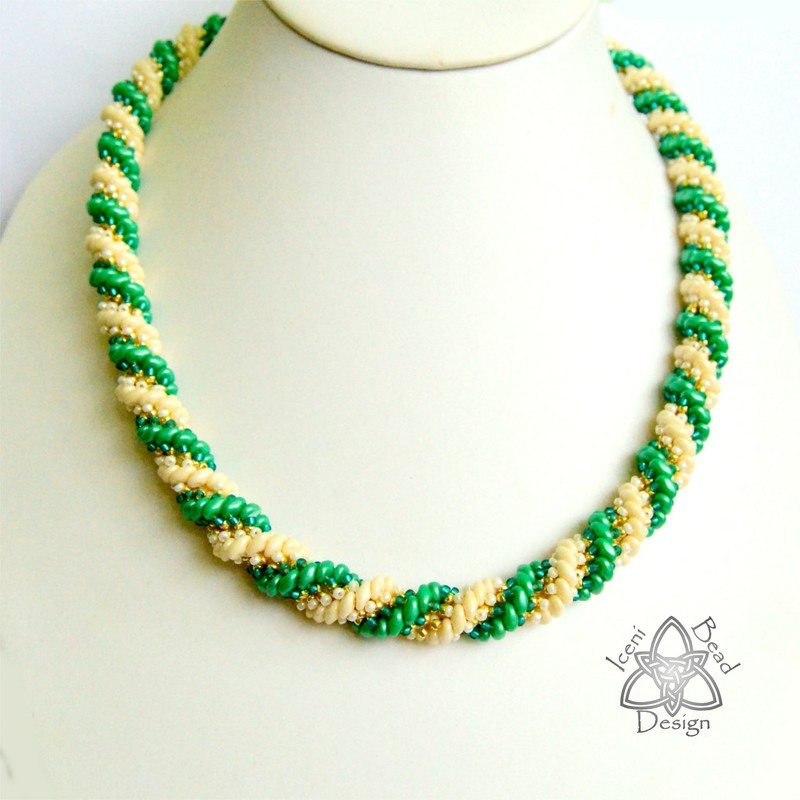 Made in two colours of SuperDuo Beads, and matching or contrasting seed beads, you can make as many variations as you want. Let your creative juices flow. 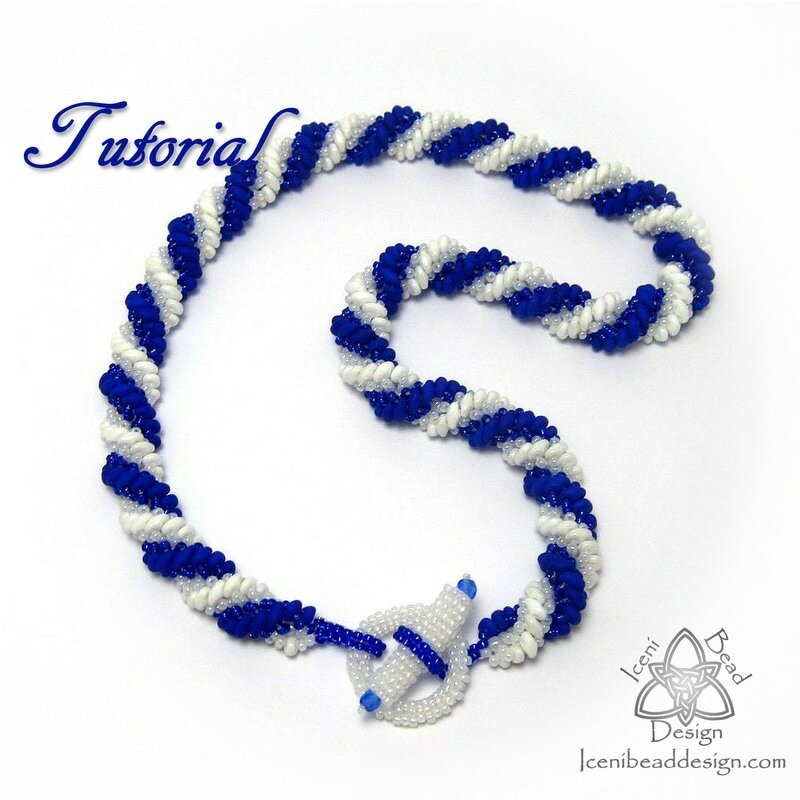 This tutorial shows you how to work the beads into the spiral rope, and as an addition, I have included instructions for a beaded toggle clasp, which of course is optional. Also there is a video as backup, address included in the tutorial. 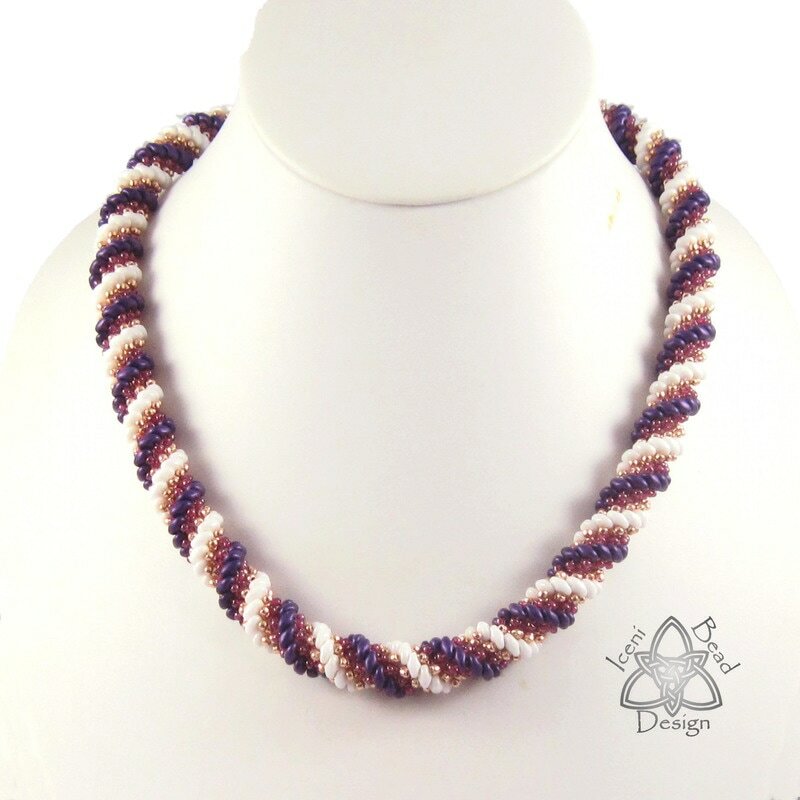 2 x 4 mm round crystals.